Stellar lumens recently announced its addition to the list of supported Cryptocurrency in Blockchain’s cryptocurrency wallet. To celebrate, the Stellar project is giving away 500 million XLM to registered Blockchain wallet users in a Stellar airdrop. 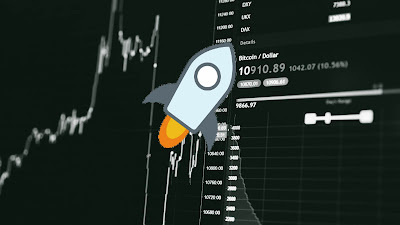 "How To Get Free Stellar Lumens in 2019"
Airdrop ICO is a distribution tactic generally used by a project during its Initial Coin Offering (ICO) stage, where the company will give away a specified percentage of tokens for free. The requirements for participating in an airdrop ICO differ depending on the project and can include holding a ‘parent coin’ like Bitcoin (BTC) or Ethereum (ETH), registering know-your-customer (KYC) information, or performing some kind of social media tasks. This ICO method gained popularity in the altcoin boom at the height of the 2017 bull run as a way for blockchain projects to advertise themselves and get the word out about their tokens and visions. Any Crypto user looking to participate in an airdrop should take the time to research the project and team thoroughly, especially before giving them any information. Always exercise good judgment and common sense when participating in airdrop and never give out any information that you consider private or are not comfortable sharing. Global payment solution Stellar lumens (XLM) announced yesterday a surprise 500 million XLM airdrop — worth $125 million at current prices — to celebrate being added as an asset in the Blockchain digital wallet. At the time of writing, Stellar XLM is ranked 6th in total market cap value and is quite well-known within the blockchain and cryptocurrency community. Each person participating in the airdrop will receive 100 XLM, worth approximately $25 at today’s price until the distribution of 500 million XLM has been completed. Previous Crypto users of the Blockchain wallet will be prioritized in the case of this particular airdrop. Each participant to the Stellar airdrop will receive 100 $XLM, worth $25 at today's price until the distribution of 500 million XLM has been completed. Before beginning the Airdrop process it should be noted that the XLM airdrop requires KYC registration that includes providing a photograph and a matching photographic identifying document like a passport or driving license, as well as other basic personal identification, to receive the tokens. There are also some regions that are disqualified from participating. First, we need to make an account on Blockchain wallet by going to blockchain.com and registering an account by selecting ‘Get a Free Wallet’ on the left-hand side. Next, we need to go to blockchain.com/getcrypto. Enter a valid email address and join the watchlist. The final step of the process is to register your identity with Stellar lumens after receiving the invitation email. Below, you can see the entire registration process form and gauge whether or not you wish to divulge the required information. That’s it! Enjoy your free lumens! Our website is of same niche. If you don't mind can we exchange some backlinks?